Stephanie Gibbs, a bookbinder in Los Angeles, CA, offers edition and fine binding, book conservation, custom boxes, and paper repair for contemporary and historic books, manuscripts, and documents to clients throughout California. 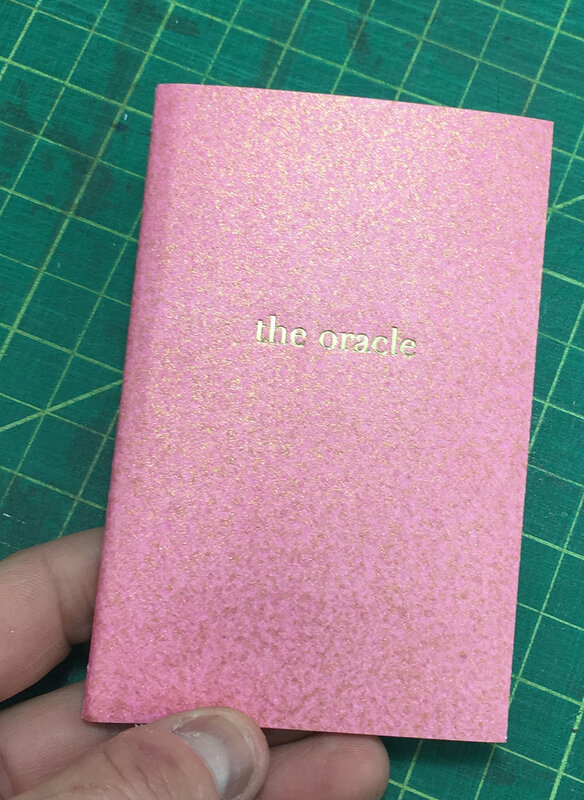 the oracle: holiday edition 2018/2019! The 2018 / 2019 holiday edition was actually mailed out close to a month ago, but things in the studio have been very busy what with Codex 2019 and those affiliated projects (to be updated separately), and so the holiday edition report is slightly delayed. January is a month I feel deeply ambivalent about. I absolutely love the metaphor of fresh starts and reconsideration; the opportunity to think deeply and recalibrate. I also deeply hate being cold, or being wet, and definitely am a pathetic beast when I am both cold and wet. I'm a fire element, and it shows. Even in Los Angeles, the weather in January is cold and wet (or "cold" and "wet" if you haven't any sympathy for highs in the sixties and an inch of rain), and so I look outside, and take more cough medicine, and sigh, and think about the meaninglessness of existence. Which leads to this year's holiday edition, which is an alphabet booklet of forms of divination. When the future seems full of unpredictable randomness, when whether the outcome is a win, lose, or draw doesn't seem related to the efforts put forth, when past performance is absolutely no indicator of future outcomes, where do you turn? The truth is that I consider myself a happy person, that I'm thrilled with the life I've created, that I'm thriving in this surreal landscape of southern California, but also that my life is weirder and less predictable than any horoscope could advise. I love this randomness, but also hate not being in absolute control of my own fate. Into which vacuum steps divination. While I, personally, don't really believe in anything, that also means that I am tempted to believe in absolutely everything. Why not, if all of life is a metaphor? And the beauty of wikipedia provides all the methods of divination a person could ever require. 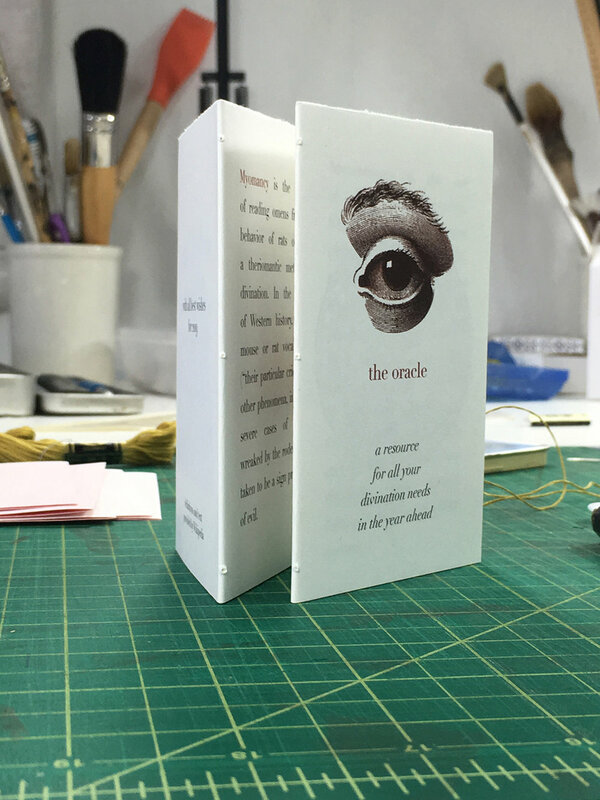 The covers for the booklets were the leftovers from the Parenthesis pastepaper project of summer 2018; the text various methods of divining the future as researched on wikipedia; the images from collected imagery from various art projects that I've either thought about doing or actually done. 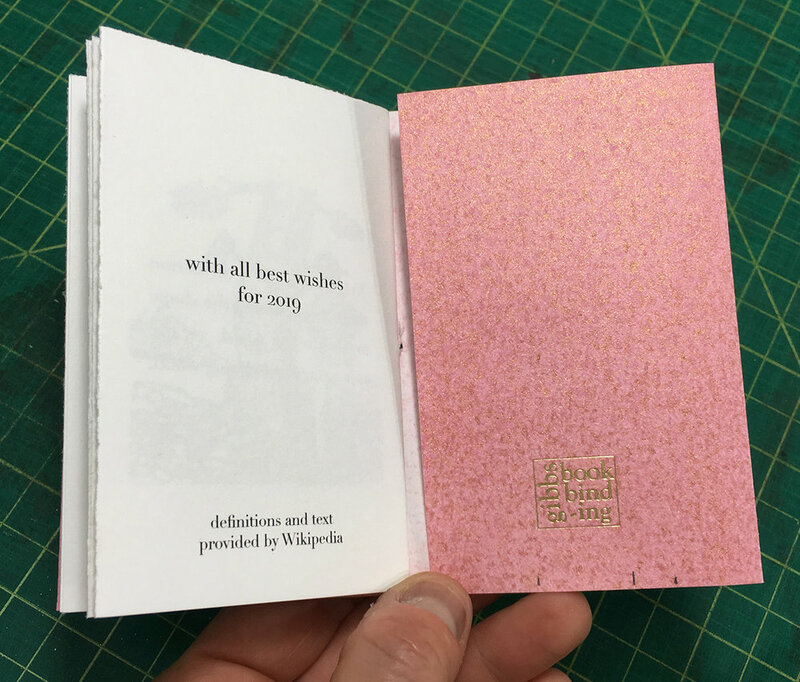 The format of the booklets is one that has been used in previous ephemera projects, such as the 2013 holiday almanack, a sewn two-signature pamphlet binding with wraparound covers. 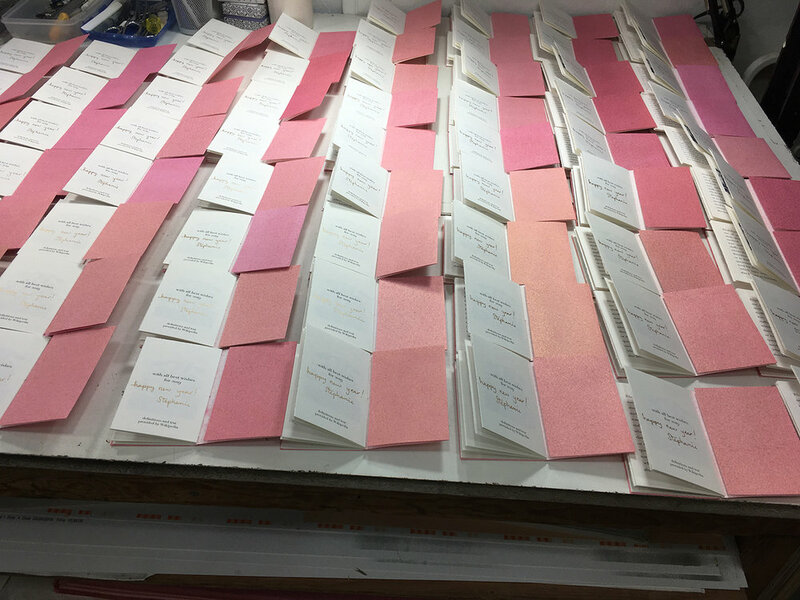 The internal design is so that each signature is a letter-sized sheet of paper, printed double sided, that is folded, cut, folded, sewn all together, and then cut. As always, your results from your divination pursuits should be handled with care, but go forth and find your future.